The concept of Home Stays in Kerala is picking up fast and there are numerous Home Stay accommodations available in different parts of Kerala. 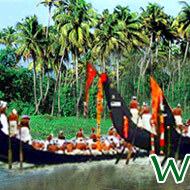 Hospitality has always been one of the most valued traditions of Indian culture in general and Kerala, in particular. The centuries old adage, 'Atithi Devo Bhava" - the guest is always considered to be a representative of God, is practiced in Kerala to the core. Hospitality becomes more homely when the guests stay at home and this belief was utilized to the full by the Keralites as Kerala was one of the first states in India to initiate and develop the concept of home stays. Home stays offer peace, privacy, and wholesome relaxation to the guests. 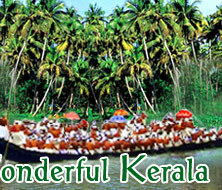 They provide an opportunity to the guests to enjoy the natural beauty of Kerala in a homely atmosphere. The most appealing part of it is that almost all home stays are situated away from the crowded city life and heavy traffic, giving you an atmosphere of a home away from your sweet home. 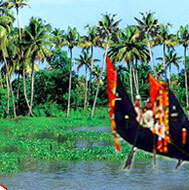 In matters of home stay arrangements and opportunities, Kerala is the pioneer state in India. There are so many exclusive home stays in Kerala and most of them are located in the midst of coconut palms and natural beauty. From budget tourists and backpackers to the rich, home stays in Kerala are available for all and offer a place to relax and dream in, with loving care. They not only showcase the rural life but also the warmth and care of the rural folks. Another high point of home stays in Kerala is the traditional Kerala cuisine. And since strict guidelines have been implemented by the government, most of them are safe to put up with supreme maintenance. Couples and families looking for a private holiday in the laps of nature are invited to experience and share the unique hospitality of Kerala Home Stays. You can choose to stay in homes classified as Diamond House (Class A Category), Gold House (Class B Category), or Silver House (Class C Category). Besides, different types of home stay options are available in all parts of Kerala which can be arranged in different locations. These include traditionally large colonial bungalows and Jew houses that have been converted into Home Stays. You can even choose the type of environment you want to stay in. According to your choice and preference, you can select from Backwater Home stays, Beach Home stays, Cochin Home stays, Farm House stays, Munnar (Hill station) stays, Home stays in Estate and Plantation Bungalows, Forest Lodges, Wilderness Getaways, or Heritage Villas.